When I became a Mom for the first time, 7+ years ago, meal planning, grocery shopping, and meal preparations quickly became my least favorite household responsibility. 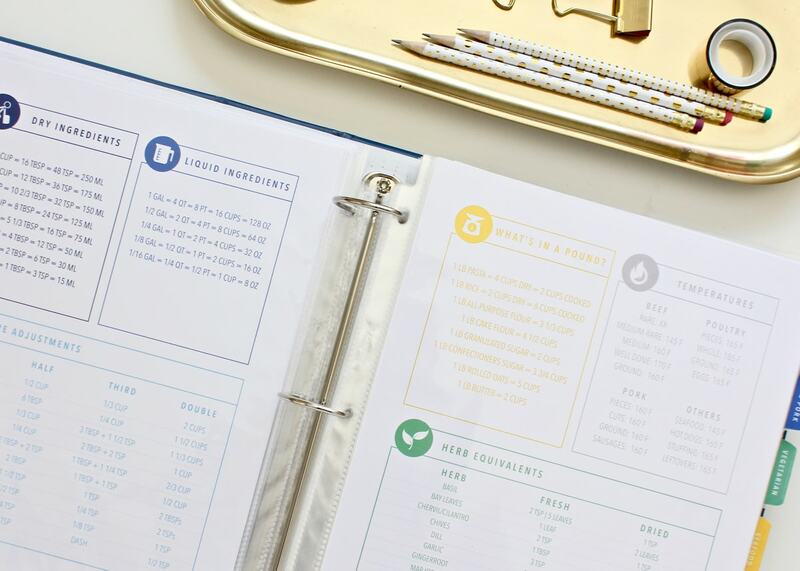 Dreading grocery trips and the meal-time frenzy every evening, I set about to create a meal planning system that would reduce meal-related stress but still help me get healthy food on the table for my family every night. Those efforts produced the Magnetic Menu Board Meal Planning System, which many families now use to plan out their monthly meals. After juggling 5 cross-country moves, growing our family, and maintaining busy careers, our meal-planning and preparation routines have evolved over and over again to meet the demands of our busy lives. But one thing has remained the same: keeping some valuable, easy-to-use tools on hand to plan our meals and grocery shopping, as well as keep our kitchen organized, has helped us streamline our meal planning, shopping, and prepping processes, ultimately saving us time, frustration, and money. 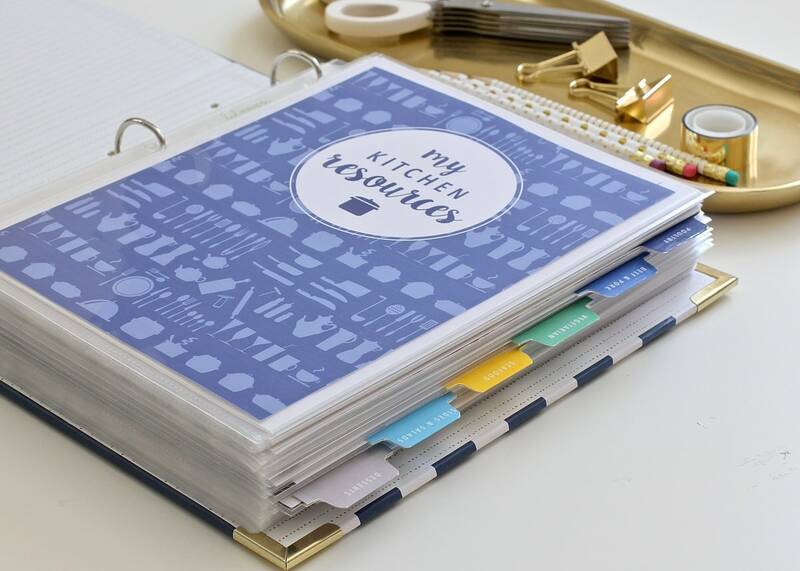 This printable collection is born out of years of trial and error and successes and failures as we figure out the best way to maintain a stocked and organized kitchen. 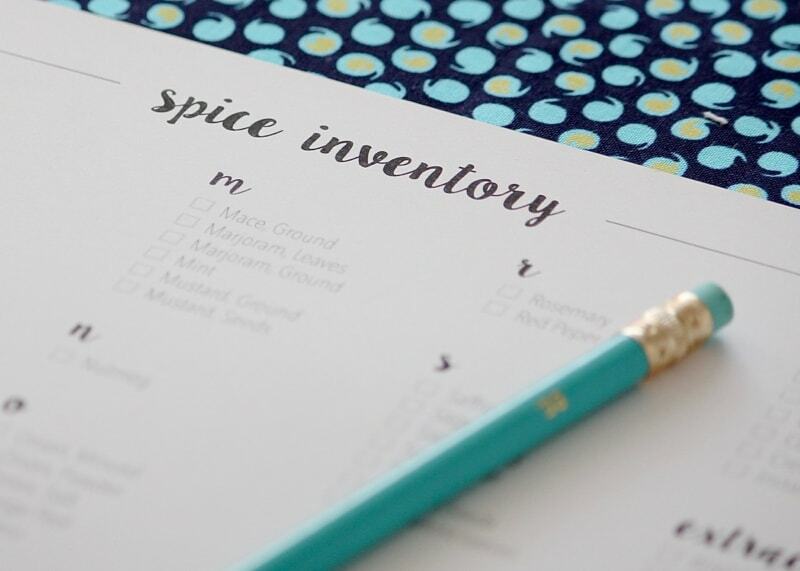 The result is hundreds of printable worksheets, checklists, labels and more that come together to create a truly comprehensive kitchen organization system. 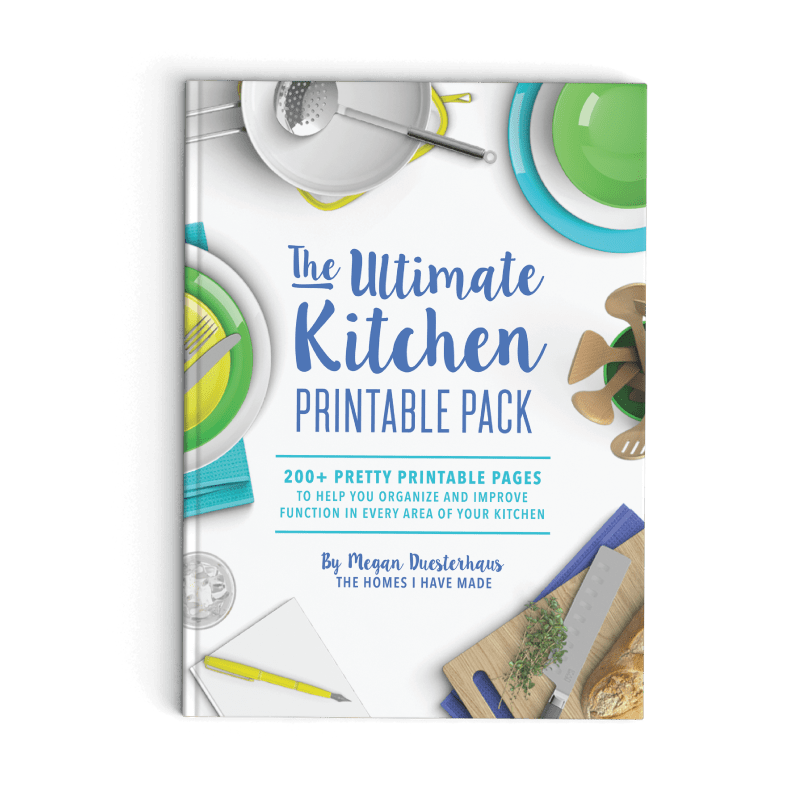 WHAT IS THE ULTIMATE KITCHEN PRINTABLE PACK? The Ultimate Kitchen Printable Pack contains over 200+ pretty pages to help you organize your kitchen, streamline your meal planning and grocery shopping, inventory and label your kitchen, assemble useful kitchen resource materials, and ultimately create a space that is a prettier, more organized, and better functioning place to cook, eat, entertain, and more! 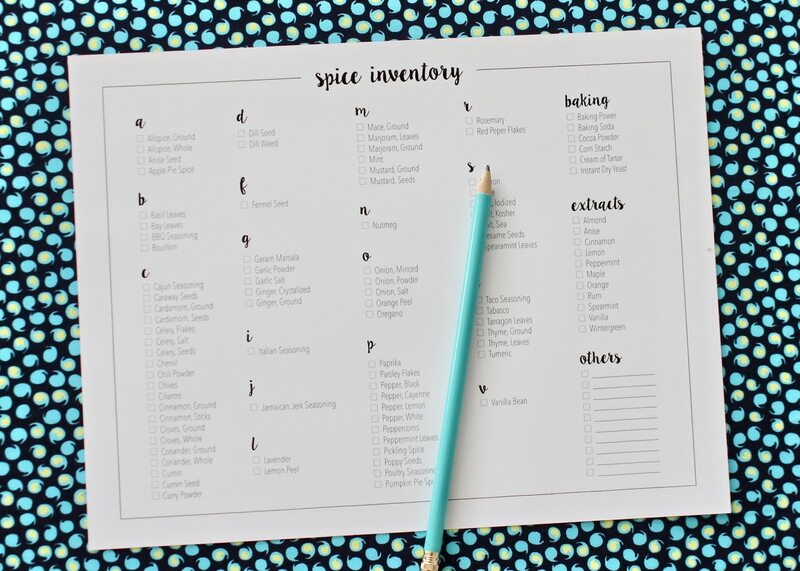 The Printable Pack is organized into 7 comprehensive kits: Meal Planning | Recipe Organization | Food Inventories & Labels | Coupon Organization | Clean Routine | Dinner Party Planner | Fun Extras. See below for more details about each kit. 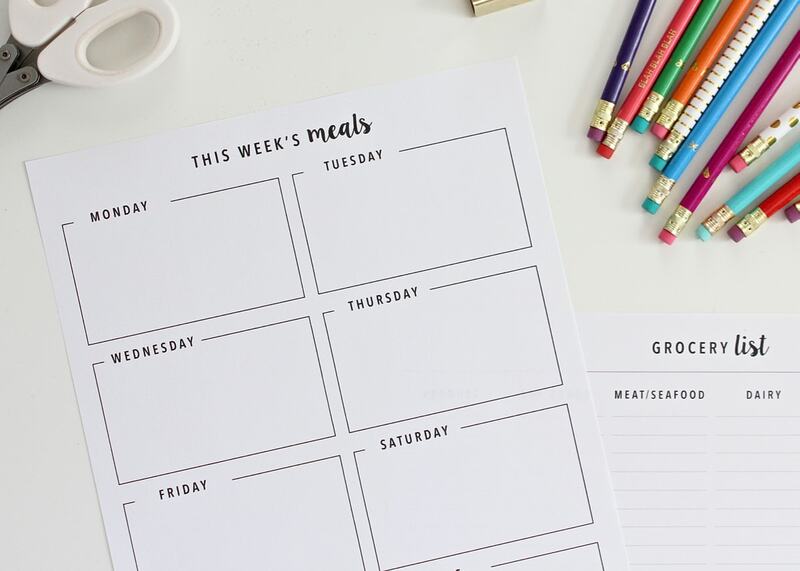 Meal planning is a tried-and-true method for reducing meal-time stress, keeping foods stocked, and sticking to a grocery budget. 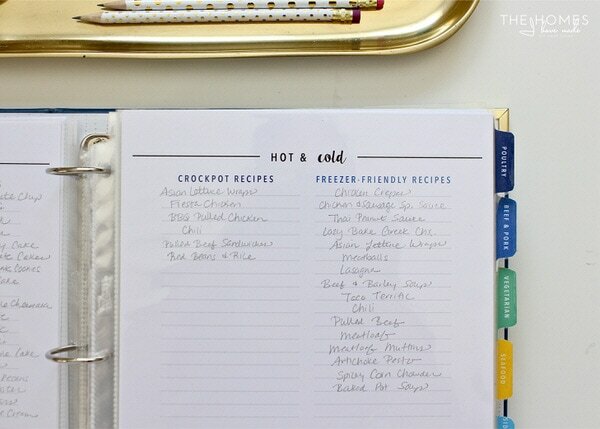 These planners and shopping lists provide countless options and ultimate flexibility for streamlining your family’s meal planning and grocery shopping. 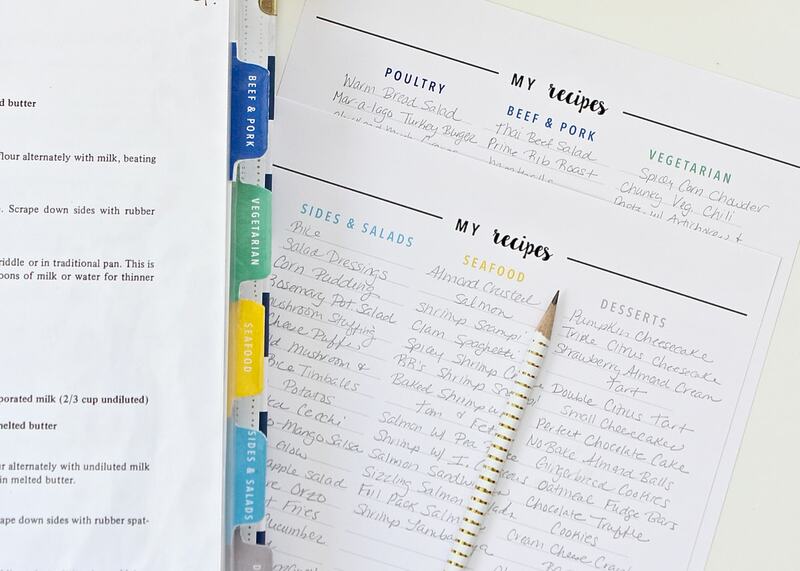 Having recipes sorted, organized, and accessible is key to reducing meal time stress and efficiently generating meal plans and grocery lists. 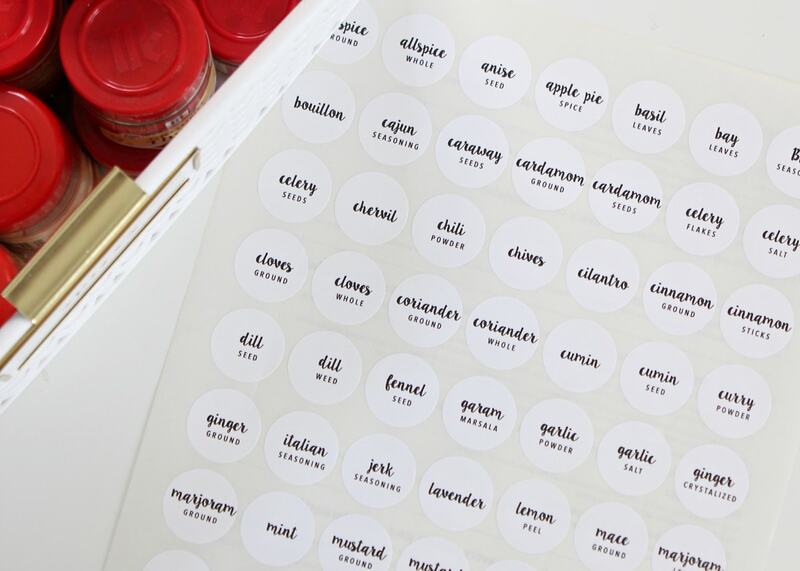 These recipe categories, inventories, cards, stickers, and tabs are color-coded to make sorting, storing and finding exactly what you need quick and intuitive. If you can’t see and find what you have on hand in your kitchen, you will be more likely to buy duplicates and less-likely to prepare meals. 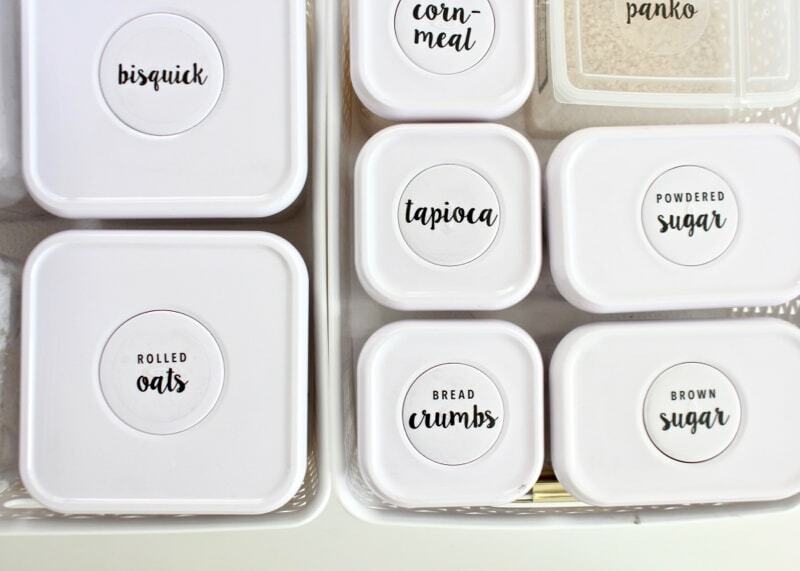 These printables will help you inventory, track, label, and organize the foods you have on hand to save you time and money in the kitchen. Having a comprehensive system to sort, organize, and access your coupons is the key to effectively using coupons to save money. These printables are color-coded by category to help you quickly sort coupons, making finding exactly what you need while shopping hassle-free. 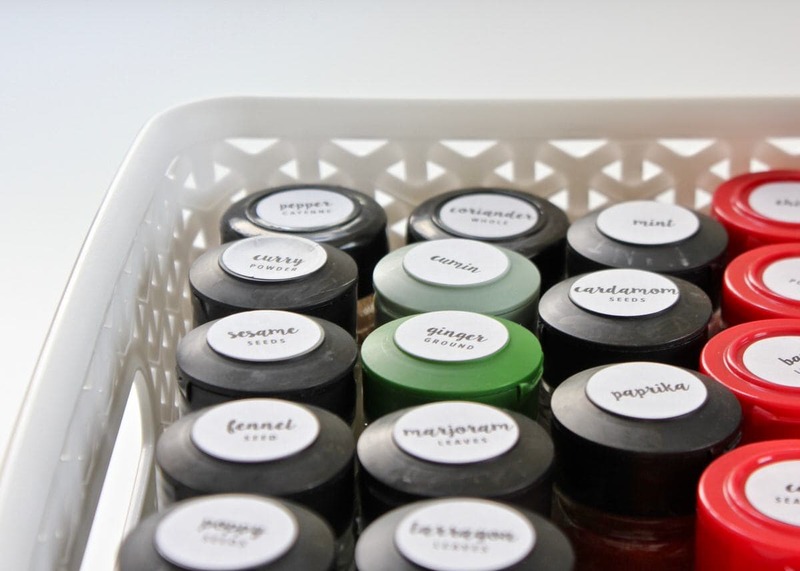 Take the stress out of maintaining a clean home with this printable kit. 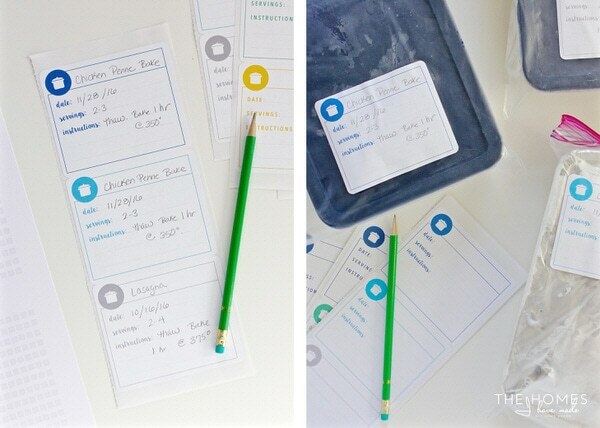 The weekly Clean Routine printables and checklists will help you organize and track the various cleaning tasks around the home, while the stickers and labels will bring a little whimsy and color to your chores. There are a lot of details to keep track of when throwing a dinner party, no matter how big or small, detailed or casual. The printables in this kit will help you plan, organize, and track every last detail of your event from the menu to the decor, venue layout, guest list and more. 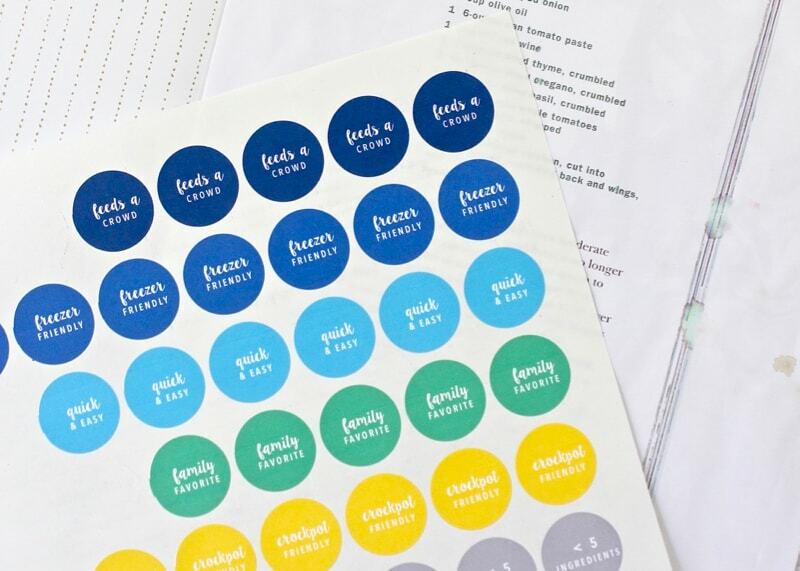 Create the resources you need with fun printable extras! 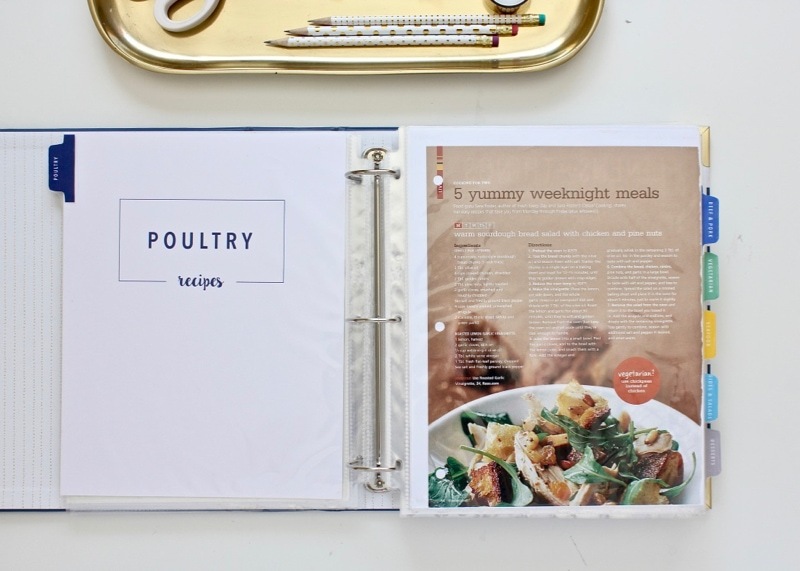 From editable and changeable category dividers and tabs, to pretty and personalized binder covers and spines, everything is included to make a kitchen resource binder perfectly suited to your tastes. Each of the 200+ pages in The Ultimate Kitchen Printable Pack can be viewed in the (soundless) video below. You can use the minute markers to find the specific kit you want to see in more detail! ULTIMATE FLEXIBILITY FOR YOUR UNIQUE NEEDS AND USES! 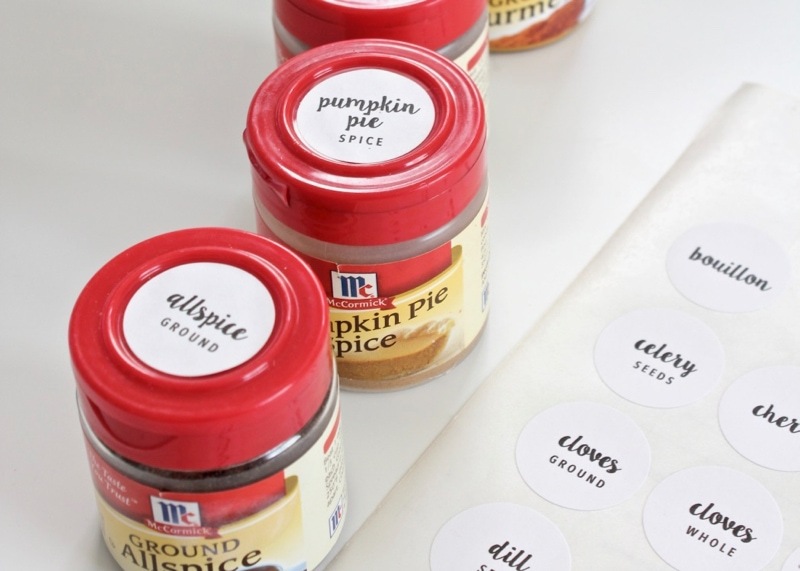 If you prefer to write on your printables by hand, each and every sheet is formatted to be print-and-go (including the labels!). This means you can print out everything as it is and get to work inserting your information and assembling your resources right away! 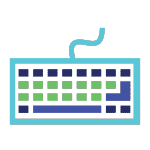 If you would rather type in your recipes, meals, groceries and more, you can do that too! All of the forms, inventories, labels, and worksheets now have editable text fields. This means you can type into any worksheet with your information and specifications…no fancy software needed! 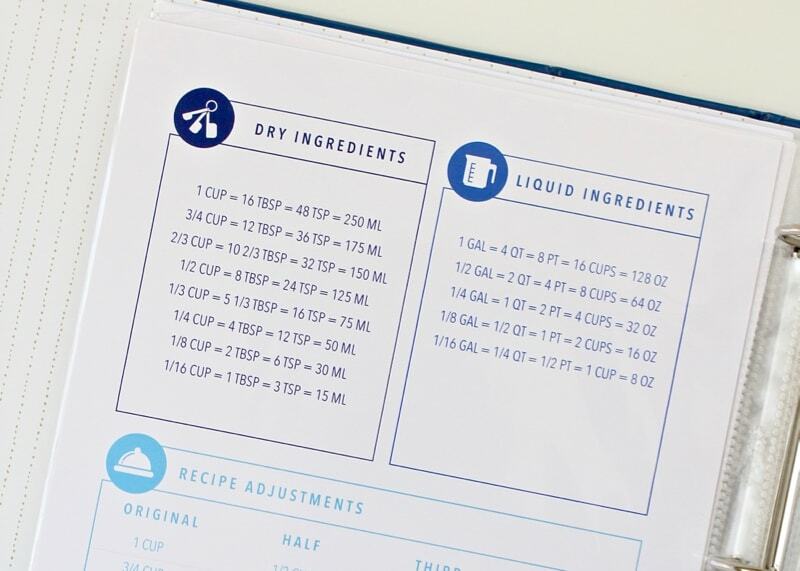 The Recipe Organization Kit now features fully changeable recipe categories. This means that instead of the included recipe categories (e.g., poultry, beef & pork, vegetarian, etc), you can type in your own, allowing you to truly create recipe organization that works for you! This quick video tutorial demonstrates exactly how quick and easy it is to edit and change the PDFs included in this kit! 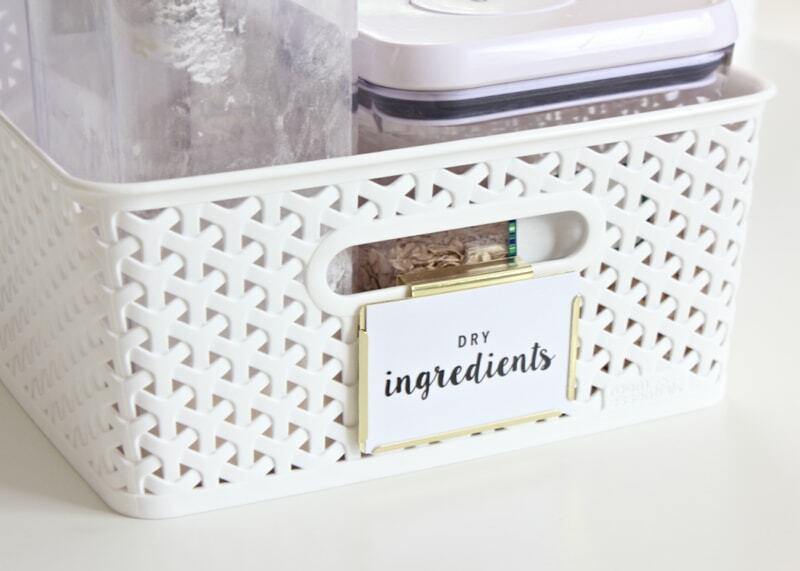 EVERYTHING YOU NEED TO ORGANIZE YOUR KITCHEN! The kitchen resources binder has been wonderful! 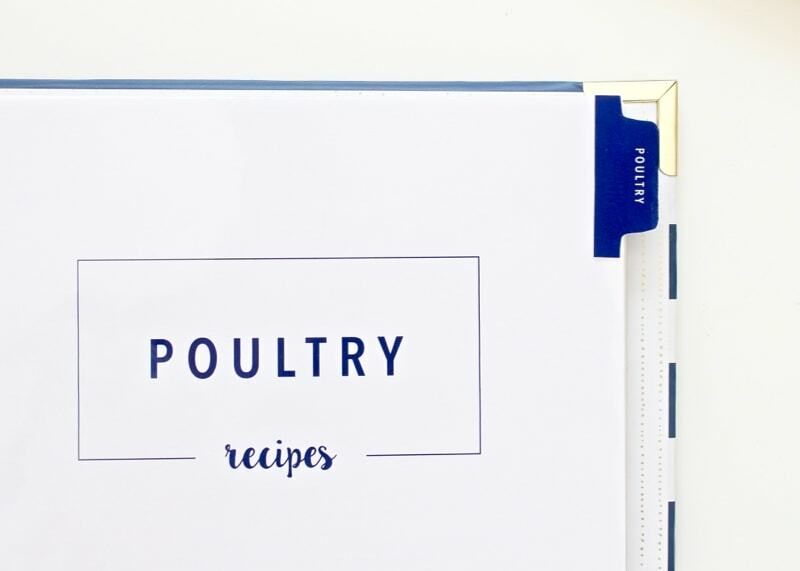 It completely reorganized my recipes binder and allows me to find things quickly, easily. GET YOUR ULTIMATE KITCHEN PRINTABLE PACK! 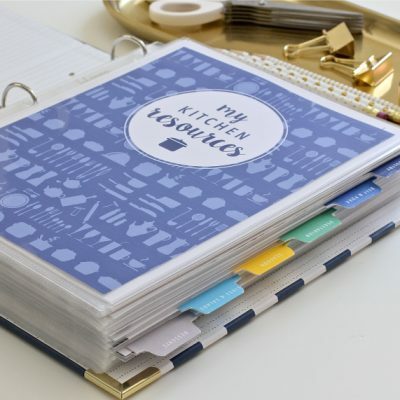 The Ultimate Kitchen Printable Pack is now only available for download from The Organization Toolbox – a comprehensive online library of printable organization resources. In order to access The Ultimate Kitchen Printable Pack from The Toolbox, you will need to purchase a pass. Please use the table below to determine which access pass is right for you! Unlocks access to the entire Ultimate Kitchen Printable Pack. Also unlocks access to 40+ additional printable kits in The Organization Toolbox. All files can be downloaded unlimited times until pass expires. Access expires after 7 days. *Access to Kitchen Pack updates and Toolbox additions after pass expires will require a new purchase. All files can be downloaded unlimited times. Access to all printable kits never expires. *A brand new printable kit is added to the Toolbox on the first Tuesday of each month. 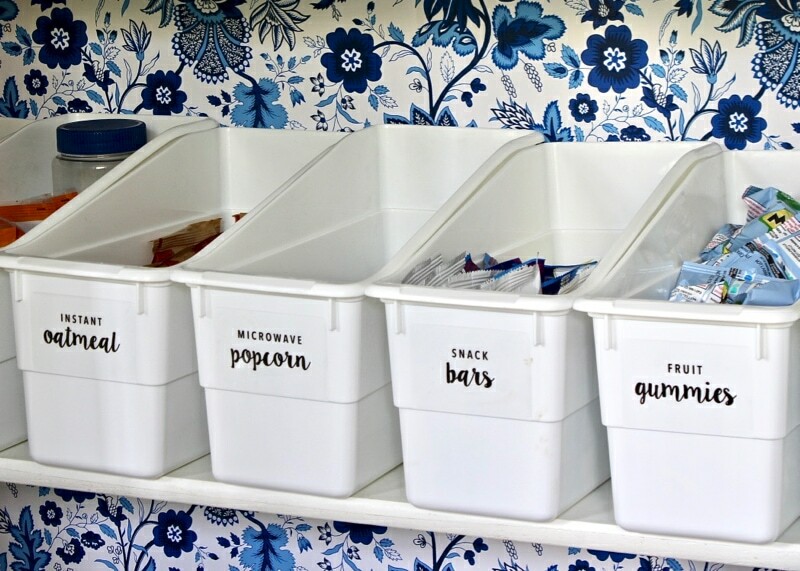 If you would like to learn more about The Organization Toolbox and the other printables currently available, please click here! WHAT SIZE ARE THE PRINTABLES? 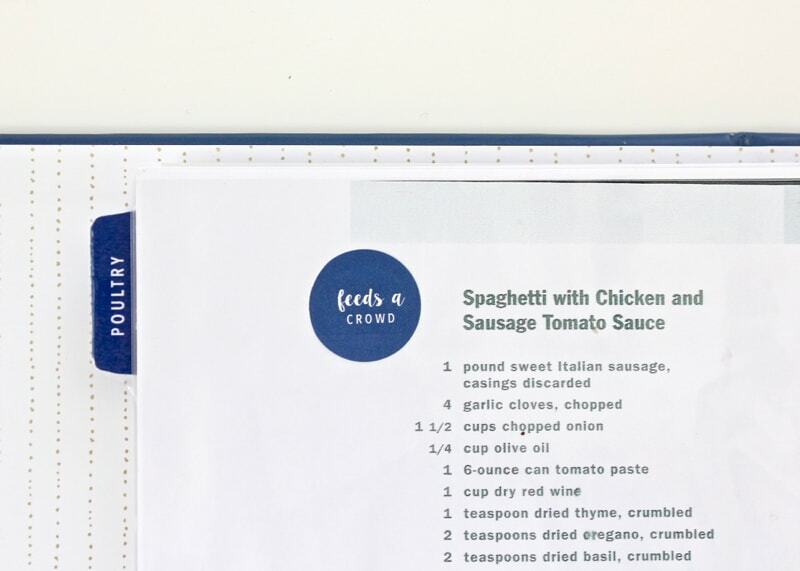 All the printables in The Ultimate Kitchen Printable Pack are designed to fit standard 8.5×11” paper. You can print any of the kits on your home printer. The Kitchen Pack also has a downloadable print release, so you can send the files to any printing company for printing. Yes! All the printable with blank lines and spaces now feature editable text fields so that you can type in any words you like. Please note: the text colors and fonts of these editable fields have been pre-set and cannot be changed. CAN I CHANGE THE RECIPE CATEGORIES? Yep! The Recipe Organization Kit not only features editable text boxes but also now includes fully changeable recipe categories. All you have to do is type in the recipe categories you want, and the file automatically color-codes and re-categorizes the printable pages all the way through. See the video tutorial above for more details. WHAT COLORS ARE THE PRINTABLES? The entire Ultimate Kitchen Printable Pack is done in cohesive 6-color scheme that includes navy, royal, turquoise, green, yellow and grey. Every single page across all 7 kits are color-coordinated to work together. ARE THE PRINTABLES DESIGNED TO WORK TOGETHER? Yes! 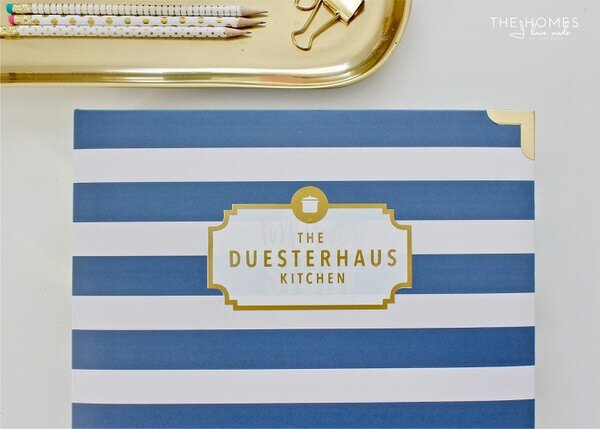 Every page in the kitchen kit features consistent colors, fonts and layouts. As such, all the pages across the 7 different kits can be mixed-and-matched to your liking! DO I HAVE TO GET AN ACCESS PASS? Yes. As of April 2018, my printables are no longer available a la carte. 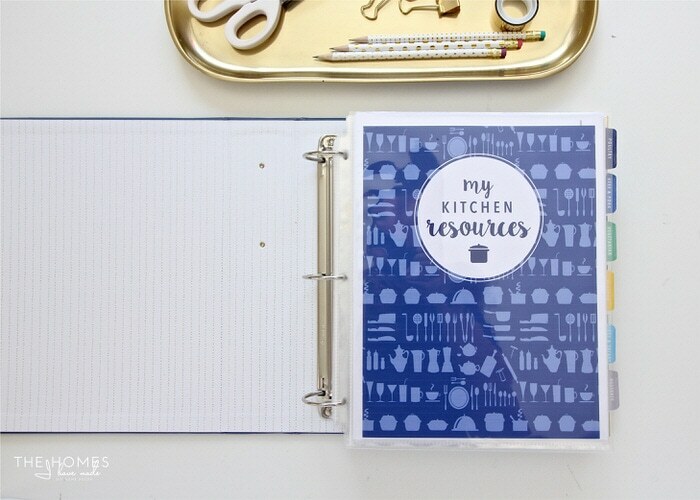 As such, the only way to access the Ultimate Kitchen Printable Pack and my other printables is via a Toolbox pass. 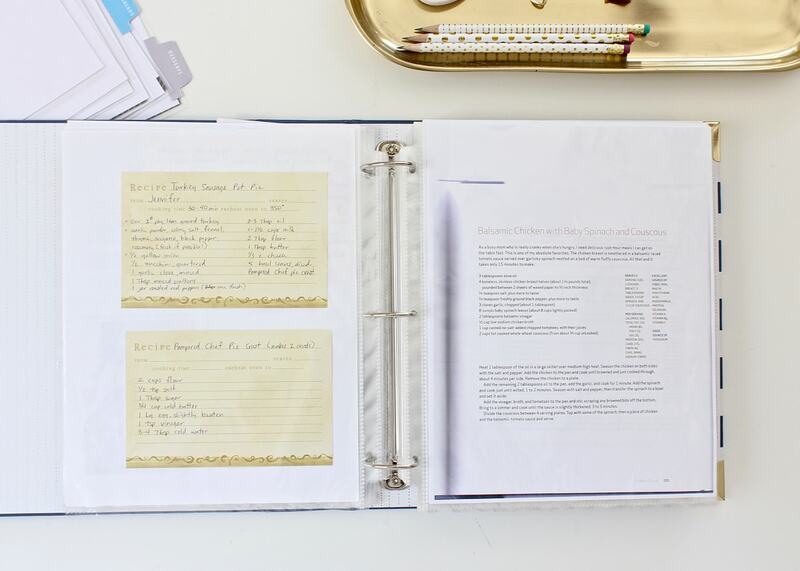 Not only is this a quicker, easier and more efficient way for me to get new printables to my customers, but this format also grants you access to hundreds of additional printable pages beyond the kitchen kit. HOW OFTEN IS THE KITCHEN KIT UPDATED? While the kitchen kit is not updated on a “regular” schedule, there has already been 2 significant revisions to it in the 18 months since it’s original release. The only way to ensure you get access to any future updates and additions is via a Lifetime pass to the Toolbox. HOW CAN I PREVIEW WHAT ELSE IS IN THE TOOLBOX? 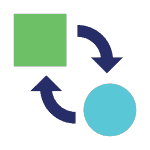 You can visit this page to get all the details on The Organization Toolbox, including what’s included, how often it’s updated, and more. 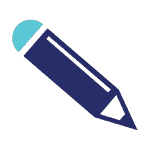 On that page, you can also request some sample pages that will give you a sense for what else is included inside the Toolbox! CAN I UPGRADE MY 7-DAY PASS TO A LIFETIME PASS? Unfortunately, no. If your 7-Day Access pass expires and you want continued access to the Toolbox, you will need to purchase a new pass (either another 7-Day or a Lifetime pass) at full price. 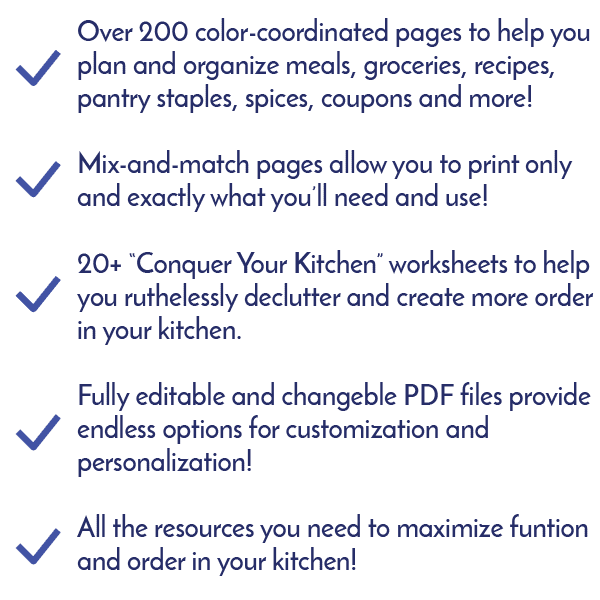 WILL MY 7-DAY PASS AUTO-RENEW? Nope. Both passes (7-Day and Lifetime) are one-time fees. As such, there will be no additional fees after your initial purchase. If you would like continued access to the printables after your 7-Day pass expires, you will need to purchase a new pass. No. Because digital content cannot be “returned” once it is viewed or accessed, I cannot issue refunds for any access pass purchase. NOT SURE YOU'LL LOVE MY PRINTABLES? They are clean, cute and are exactly what I need to get whatever I'm doing DONE! They are colorful and well organized. The printables have all the things I need without the extras I don't. I love how practical they are! The fact that they're made to fit specific AVERY labels is so helpful, and they are just great designs. They're simple, quick and cute-and oh so useful! You've created workable sheets and forms that I've often wished for. They are beautiful which makes me want to use them! Enter your email below, and 10 FREE sample pages from The Ultimate Kitchen Printable Pack will be delivered straight to your Inbox!! Uh...the Ultimate Kitchen Printable Pack is life changing!!! Especially the cleaning checklist. Swear it saved my marriage...well kind of. 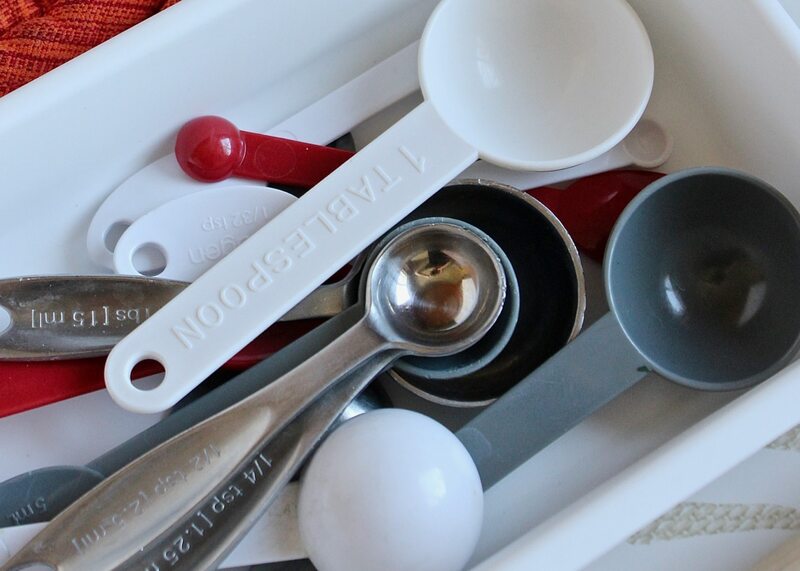 ARE YOU READY TO GET YOUR KITCHEN MORE ORGANIZED? 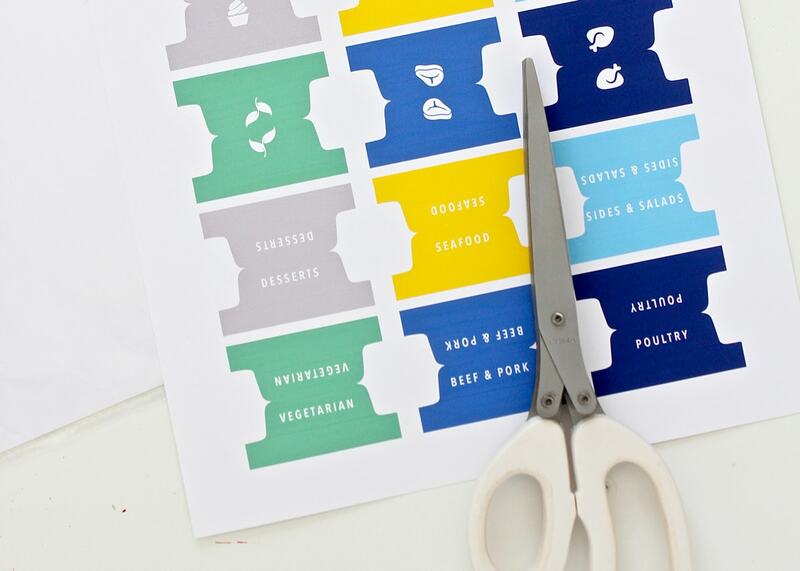 UNLOCK ACCESS TO THE ULTIMATE KITCHEN PRINTABLE PACK TODAY! Automatic access to any updates and additions to The Ultimate Kitchen Printable Pack and The Organization Toolbox. Hi, I’m Megan! I’m a busy wife, Mom, blogger and military spouse. We are currently living in our 7th home in 13 years in sunny Southern California. Even though we move every few years, I wholeheartedly believe in the value of creating a real, functional, and stylish home for me and my family so we can thrive wherever we are. As such, I make it my mission to setup and organize each home we live in with smart organizational systems that look as good as they work. 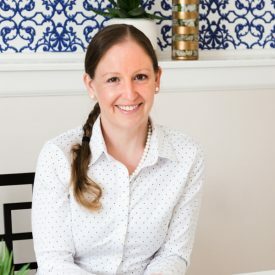 I have so many great ideas that I know you can use in your own home, so be sure to follow along my decorating and organizing adventures via my blog, The Homes I Have Made, and my various social profiles. I can’t wait to meet you!